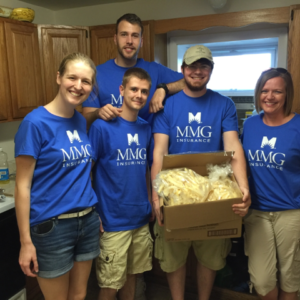 Founded on the belief that the future of the insurance industry is tied directly to current investments, MMG has implemented a hugely successful Internship Program. Participants have the unique opportunity to experience what sets MMG apart as they engage in job shadowing across all departments. Additionally, they receive targeted training within their assigned jobs, mentoring, education, and the opportunity to interact with the entire management team. Outside of the office, Interns participate in various community service projects. While based at the corporate headquarters in Presque Isle, Maine, interns are given the capacity to network with both the local community and business partners throughout the Company’s five state operational footprint.